Northvolt today received the environmental permit for the establishment of Europe’s largest lithium-ion battery cell factory. Ground preparations on the factory site, which marks the initial step of the construction phase, will now begin on June 8. 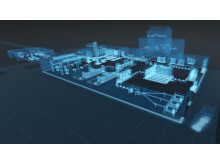 Siemens and Northvolt today announced a partnership for the development of best-in-class technology to produce high-quality, green lithium-ion batteries. The partnership, which will be supported by Siemens through an investment of EUR 10 million, also includes the supply of lithium-ion batteries. 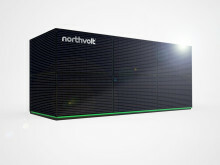 Skellefteå Kraft has partnered with Northvolt to develop sustainable solutions for energy storage and district heating. 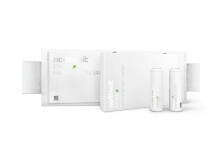 With the mission to enable the transition to renewable energy and electrification, Northvolt one year ago launched its plans to build Europe’s largest lithium-ion battery factory. 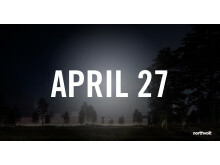 The team is now entering the next phase of its mission, and on April 27 media is invited to the official kick-off for the establishment of Northvolt Labs. Blog post: Cells, modules and packs – what is a battery? When people talk about batteries, they sometimes talk about different things. And as batteries are becoming a key enabler to the electrification of Europe, many people have asked what a battery really is, and how Northvolt’s large-scale lithium-ion battery factory fits into the picture in relation to other battery related initiatives out there. Here is how it works. The Board of Directors of the European Investment Bank (EIB) has approved a loan request from Northvolt AB. 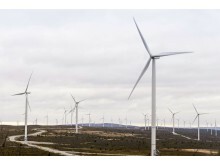 The financing, a facility of up to EUR 52.5 million, is projected to be supported by InnovFin – EU Finance for Innovators’s Energy Demonstration Projects facility, with the financial backing of the European Union under Horizon 2020 Financial Instruments. Vice President of the European Commission in charge of the Energy Union Maroš Šefčovič said: "Batteries are a strategic component of our competitiveness and to capture a new European market worth EUR 250 billion annually as of 2025, we need to act fast. I therefore welcome the decision taken by the EIB, which will help this industry-led project take off the ground. It is important to pool all available instruments at the national and European level, such as InnovFin. The European Battery Alliance will continue supporting prospective partnerships throughout the value chain." EC Commissioner Carlos Moedas, in charge of Research, Science and Innovation, said: "I am happy to see EU loans enabling real market-creating innovation. With 40% of all patents for renewable technologies belonging to European companies, the EU is undoubtedly leading the fight against climate change. But many of Europe's great innovations in clean energy technologies end up being produced elsewhere, meaning that others make much more money out of European innovations than we do. Today's decision will help to correct this." The Swedish Energy Agency today announced it will support the establishment of Northvolt’s demonstration line, Northvolt Labs, in Västerås, Sweden, with a grant up to SEK 146 million. 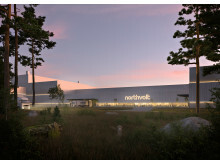 Northvolt Labs, which in addition to the demonstration line also will include a research facility, will be used to qualify and industrialize products and processes together with Northvolt’s partners and customers. 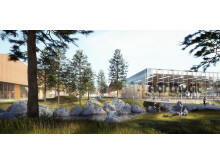 The launch of Northvolt Labs is a key step towards the establishment of Northvolt’s large-scale lithium-ion battery factory in Skellefteå, Sweden, which will serve as the main production site and include active material preparation, cell assembly, recycling and auxiliaries. 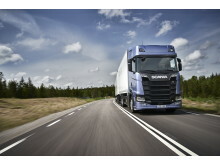 Scania and Northvolt have jointly agreed to develop and commercialise battery cell technology for heavy commercial vehicles. Scania today announces that it is investing EUR 10 million in the partnership to enhance further development and support the establishment of Northvolt's demonstration line and research facility. The application process for Northvolt Internships summer 2019 has now closed. Thank you to all applicants. We will be providing applicant outcomes in the coming weeks. Enormous change at Northvolt Labs as the outer shell nears completion. Inside, utilities are being laid and we're prepping for outfitting with machinery. It's going to be an action-packed summer establishing our battery demonstration line and research facility so be sure to follow! 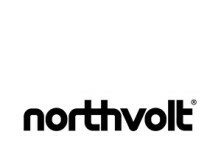 Northvolt was founded in 2016 with the mission to build the world’s greenest battery, with a minimal carbon footprint and the highest ambitions for recycling, to enable the European transition to renewable energy. Northvolt’s team of experts is building the next generation battery factory focused on process innovation, scale and vertical integration. Once completed, it will be Europe’s largest battery factory and produce 32 GWh worth of battery capacity annually.